Its time for some rag crochet. I bought new sheets last week. That means I have old sheets. That means I have stuff to make rags. That means rag crochet. 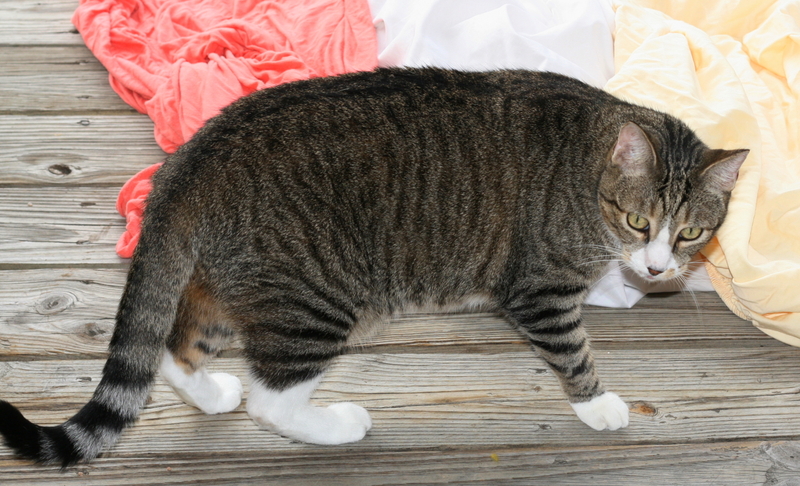 This post is chock full of links. Others might note that by way of apology or mention it as a disclaimer. Me? I’m saying its a bonus. Every link should take you to a free pattern or a tutorial or eye candy or something good like that. If it doesn’t, that’s because I broke a link and you should let me know ASAP in the comment section! If you’ve never tried rag crochet then I’m glad to be the one to get you hooked (Ha! a pun!) on a whole new thing. The trick is in turning fabric into “yarn”. There are different ways to cut your strips and different ways to join those strips. I do the switch-back cuts that you can find in Vintage Chica’s tutorial. Then I join the strips like its demonstrated on Sustainable Baby Steps to make really big balls of “yarn”. When I first realized I’d be starting a rag crochet project (which was approximately 78 seconds after I decided to buy new sheets because my brain went directly from new sheets = old sheets = rags = crochet project) I assumed that I’d make a rug. 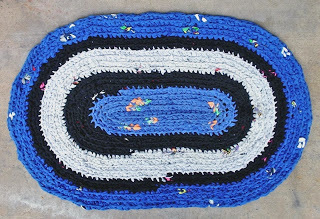 All my rag crochet projects in the past have been rugs. And rugs are easy. You just pick a shape and go! There are circles and hexagons and stars and spirals and so on. A crafter is pretty much limited by only their imagination. Isn’t that lovely? I’ll never make that. My rugs get stepped on and they get dirty and they get washed. That rug looks like it should be in a home decor magazine. So I shook off the wild thoughts of rag knitting. Rag crocheting, that’s what I want. And I was going to start a rug until I saw this rag crochet basket tutorial by My Very Educated Mother. I like baskets. I have lots and lots of wicker baskets but its not as if I have ENOUGH wicker baskets. I could always use more baskets. 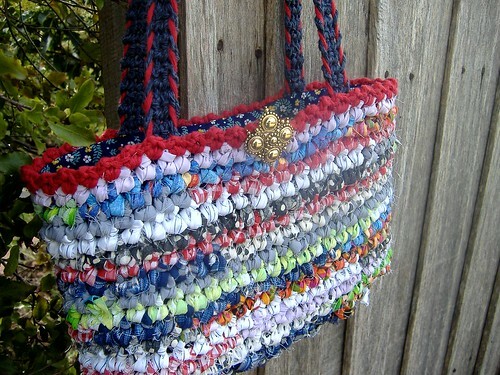 But then I saw this tutorial for making a rag crochet tote by Laughing Purple Goldfish. Yep. I like that. That’s what I want. 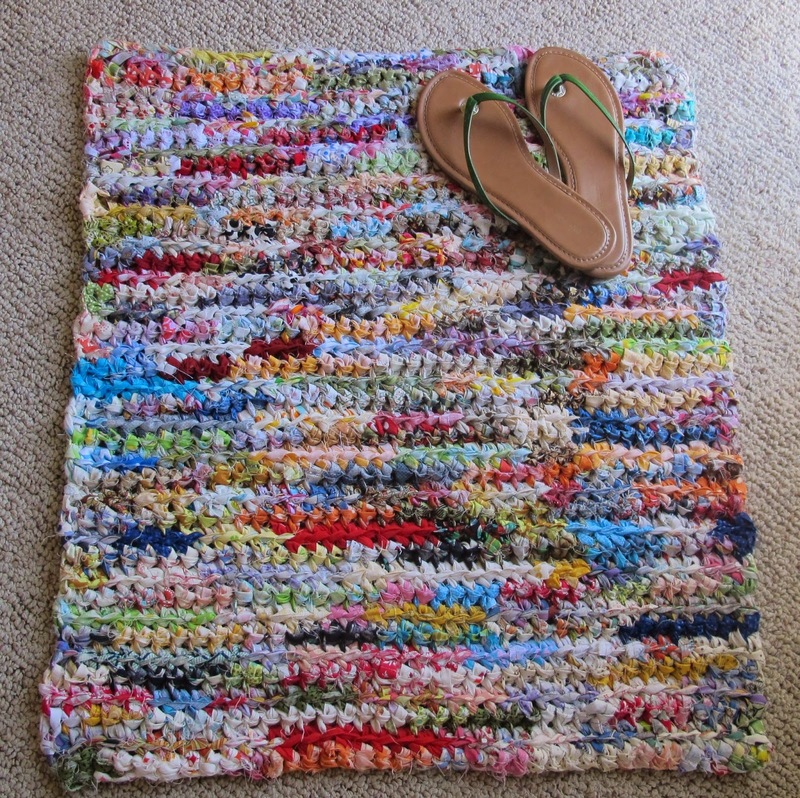 A rag crochet tote. If it turns out big enough it will become my main project bag. I have these three colors to work with. We are all looking forward to this project in a big way, and I do mean all of us. I’m pretty sure that by the time I have laid out the sheets, cut the strips, and balled them into “yarn”, it will be covered in cat hair. I’ll keep you posted. 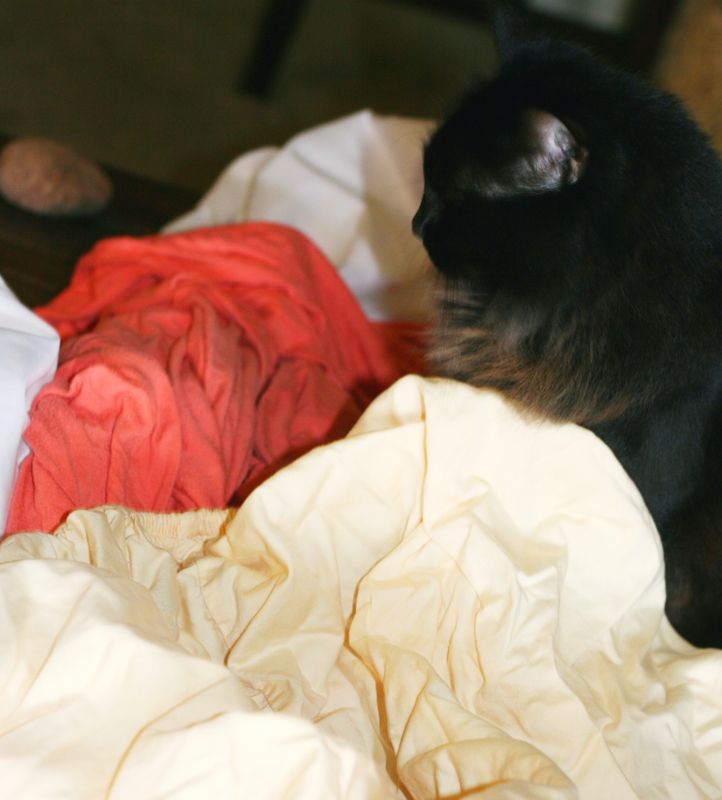 Oh, and if you start cutting up perfectly good sheets after reading this, its not my fault. Be sure to tell your significant other that it is not. Jenn’s. fault. Weekly Rec – Handi Tools are Pretty Handy → ← The Missing Knitting Needle Problem That Needs to Be Addressed. Immediately. 11 Comments on "Rag Crochet is Upcycling For Hookers"
YIKES! I was about to donate my old sheets to my fabric arts center for rag rugs. But now I have an idea for a new project – a large, soft crochet container for my unspun fleece. I’m tired of dragging it around in plastic bags. Thanks, Jenn. 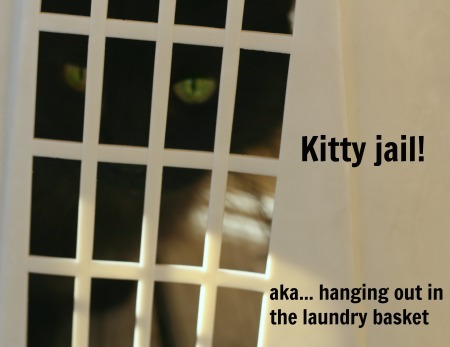 But seriously, that does sound like a great use for your old sheets. Storing fiber and fleece without getting it all compacted can be a challenge.I’d love to hear how it turns out. 🙂 Glad you liked it. 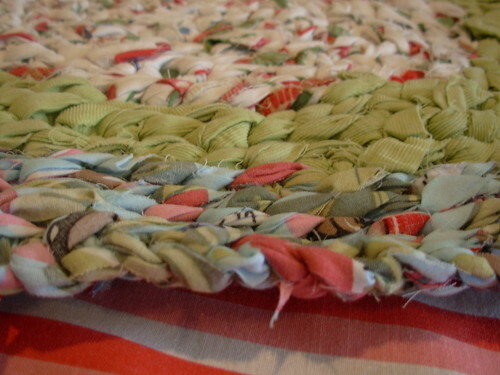 If you do go a rip up your sheets, come back and tell us what you are making! Hi Jenn! Did you see what Nicole does with Darn Good Yarn? She is very good at inventing patterns and baskets for her sari yarn. And she helps people too! 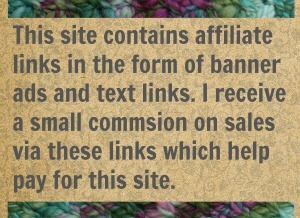 Check her website: http://www.darngoodyarn.com. I’d love to buy from her but here in Europe we have tight custom regulations (especially in Portugal!). Wow. That upcycled silk is very pretty stuff! Its a bit above my touch but it DOES give me ideas for handspun. Since you brought it up, can I use you and your readers for an opinion? 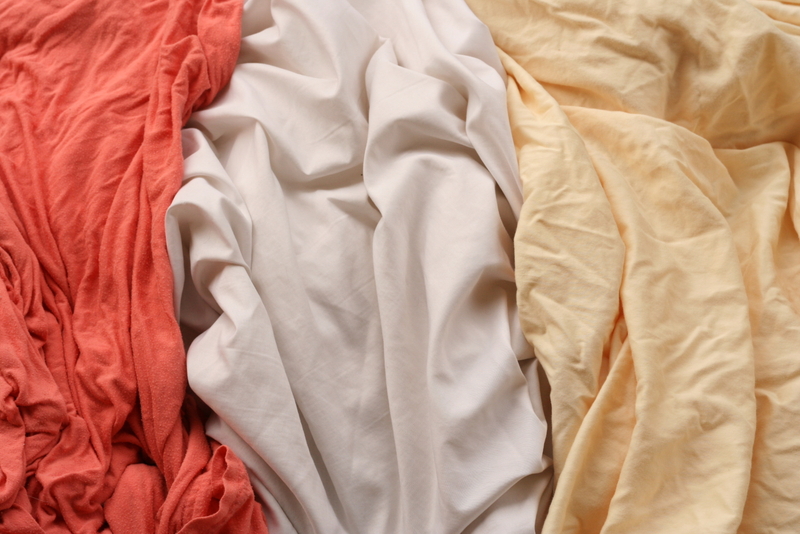 I have some good jersey cotton sheet sets left over from when I changed bed sizes. My BF thinks I’m nuts because I want to cut them up and turn them into… A new blanket. He Who Knows Nothing About Crochet says fabric yarn wouldn’t make a good blanket. I think it would make a great blanket. The sheets are all color coordinated, too! What do you think? 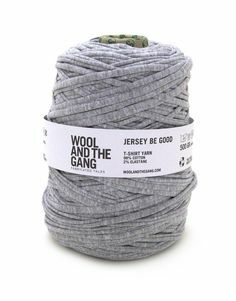 Well… jersey is what t-shirts are made from and that makes for a nice soft think yarn. Are your sheets in that tiny-tiny machine knit stitch like t-shirts are? And BF doesn’t understand. Poor thing. I kinda feel sorry for him (and all the others) because they can’t see all the beautiful creations that live our imaginations. They ARE knit in that teeny-tiny stitch! I can cut them as thin as 1/4 inch without fraying or breaking. The end result is equal to bulky weight yarn. CITW, I say go for it. I’ve been thinking that my old flannel sheets would make up into a great blanket. Let us know how it turns out. I’m gonna do it! If it turns out to thick or stiff, then I guess I’ll have a new area rug!